Kelly has been training horses since he was very young. He started breaking Shetland ponies when he was just a kid, at his mother’s home farm, by default because he was just the right size! As he grew, Kelly went through the United States Pony Club, until his passion for showing took over as a teen. Kelly then worked in the USA and in Europe, at top barns, training with the best of the best. Kelly has started hundreds of horses and ponies since then that have participated in many equine sports, such as the Racetrack, Polo, and Grand Prix Show Jumping. 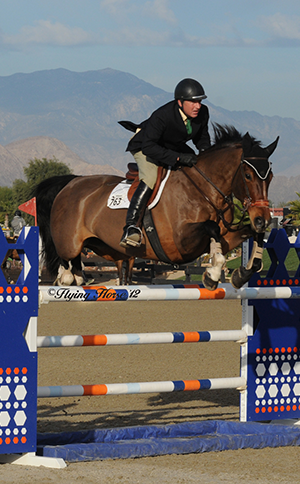 Kelly has coached two National Championship Show Jumping Teams with the USPC. Kelly is currently based at his farm McFarm in Pescadero, California with satellite operations in Paso Robles, California and in Oregon. 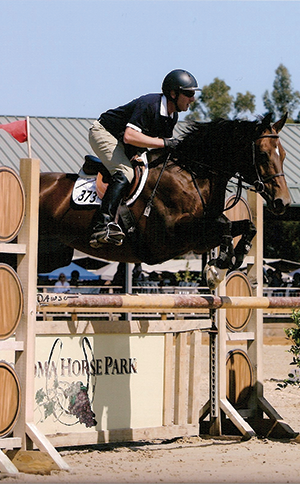 Kelly breeds Warmbloods, and competes and judges hunters and jumpers on the west coast. Most recently Kelly has been working for Branscomb Farms in Half Moon Bay, California and Team Starkman in Paso Robles, California. He continues to work with a small handful of private clients and is currently raising a few more personal prospects. Last year, he imported two fabulous prospects from Ireland that he is excited to bring along and show. Kelly is best know for riding young jumpers. He specializes in starting young Warmbloods from the ground up with a natural and effective approach creating confident and successful prospects. Herbsmith products are the greatest – so fresh so distinctive and effective – I especially love their Herbal Liniment – we use it on all our horses – it is better than anything else we have used on our horses legs before. My horses get a rub down after they work with the best liniment on the market – Sound Horse Liniment from Herbsmith. I started using it last year and won’t use anything else since I did. It works great, smells good, and makes the horse feel better. I even use it on myself after a hard day. Just before Thermal this year, I started feeding Impulsion with Composure to a dutch mare I got late last year with a lot of blood. She is by Chin Chin so comes by it naturally! Now she seems to come out more focused and manageable in the heat of the moment. She doesn’t have a ton of experience yet, so anything I can do to keep her mind on the job is important. I feel that supporting her with the herbs so she can settle in better and do her job jumping clean more easily. We hoped to catch up with the other eight year olds by year’s end – we did that!